A freshly picked bouquet of long stemmed red roses. Luxuriant rich and spicy with a hint of sweet violets and warm musk’s. 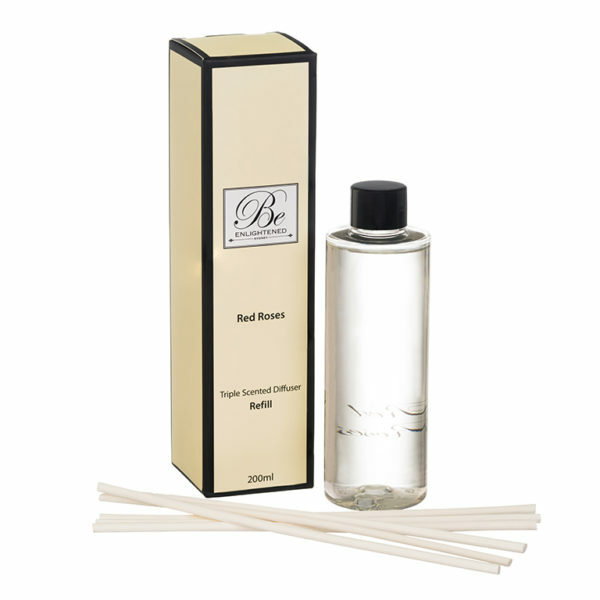 Continue enjoying your Be Enlightened diffusers, simply refill your glass and replace your reeds. Recommend to use 6 reeds, keeping away from strong drafts and out of direct sunlight. The more sticks you use, the stronger the fragrance. Rotate your reeds regularly by simply turning upside down to increase enjoyment of your diffuser.